Spay/Neuter is for Rabbits Too! NJHRS is pleased to offer this lower-cost spay/neuter program for rabbits—the only one of it’s kind in New Jersey. If you are reading this, you are a responsible rabbit parent who knows the benefits of spaying and neutering rabbits, even if you have only one rabbit and pregnancy is not an issue. Congratulations! As with cats, dogs and other animals, rabbits are relinquished to animal shelters for a variety of reasons—among them being behavior issues and unwanted litters. To enhance the health and longevity of our rabbit companions, keep rabbits with their human families and prevent litters New Jersey House Rabbit Society advocates spaying and neutering. Your rabbit, if a male, is ready for neuter when his testes are visible, usually around the age of 3-4 months. Female rabbits should be spayed at 5-6 months old. In order to make this important surgery more financially feasible, NJHRS has enlisted the support of veterinarians across New Jersey to participate in our reduced cost spay/neuter program. Please Note: NJHRS spay/neuter certificates can be purchased by anyone willing to use our participating New Jersey veterinarians. We do not have vets outside of NJ at this time. These reduced fees are available only at the participating veterinarians listed below who accept an NJHRS authorized Spay Neuter Certificate. Individuals interested in taking advantage of our program will pay a reduced spay or neuter fee to NJHRS for which they will receive a Certificate. The certificate is to be presented to the veterinarian at the time of the surgery. You must purchase, and receive, your Certificate(s) from NJHRS before calling the vet and making an appointment. The certificate will be sent to you via USPS mail. It will not be emailed to you. Again, do NOT make your appointment until you have received your Certificate(s). We cannot stress this enough: DO NOT MAKE YOUR APPOINTMENT UNTIL YOU RECEIVE YOUR CERTIFICATE. A Neuter certificate is $100 and a Spay certificate is $130. We offer further discounted certificate fees for low-income individuals on government assistance and/or college students. Click here for details. ** ONLY CLICK ON THIS LINK IF YOU ARE A STUDENT OR LOW INCOME. IF YOU ARE NOT LOW INCOME ON GOV'T ASSISTANCE OR A COLLEGE STUDENT, CLICK ON THE "BUY NOW" BUTTON BELOW TO PAY. As anyone who has researched spay/neuter surgeries for rabbits knows, a neuter can cost $250 - $400 and a spay can be $350 - $500 or more. We are grateful to our participating veterinarians who are making these lower fees possible. How to purchase a Certificate. You may do either of the following. 1) Order online. Click on the Buy Now button below to order your certificate through Paypal. You may order multiple certificates in one payment. Please be sure that your PayPal order includes your full name and mailing address. CERTIFICATES ARE NON-REFUNDABLE. With your money order, please include your your phone number. Certificates are nonrefundable. Certificates will be sent to you by regular mail - United States Postal Service. ◘ The Certificate pays only for the cost of the spay/neuter surgery. ◘ All of the veterinarians require a physical checkup before surgery (which may or may not be a separate appointment) to make certain that your rabbit is healthy and able to handle the stress of surgery. The cost of the checkup varies from office to office and that cost is your responsibility. When making an appointment be sure to inquire as to this cost so you will be prepared. ◘ The cost of pain medications after surgery, if prescribed by the veterinarian, is your responsibility. ◘ If treatment is required due to complications from the surgery, that too is your responsibility. Complications are rare but possible, as with any surgery. All of our participating veterinarians are highly skilled professionals who have performed many rabbit spays and neuters. Your rabbit will be given the same outstanding care as any one of their patients. These doctors have agreed to participate in the program as a public service. We extend a heartfelt THANK YOU to all. At this time we have a number of participating veterinarians in our program although they are not in every county of NJ so some travel might be necessary for you to take advantage of this program. 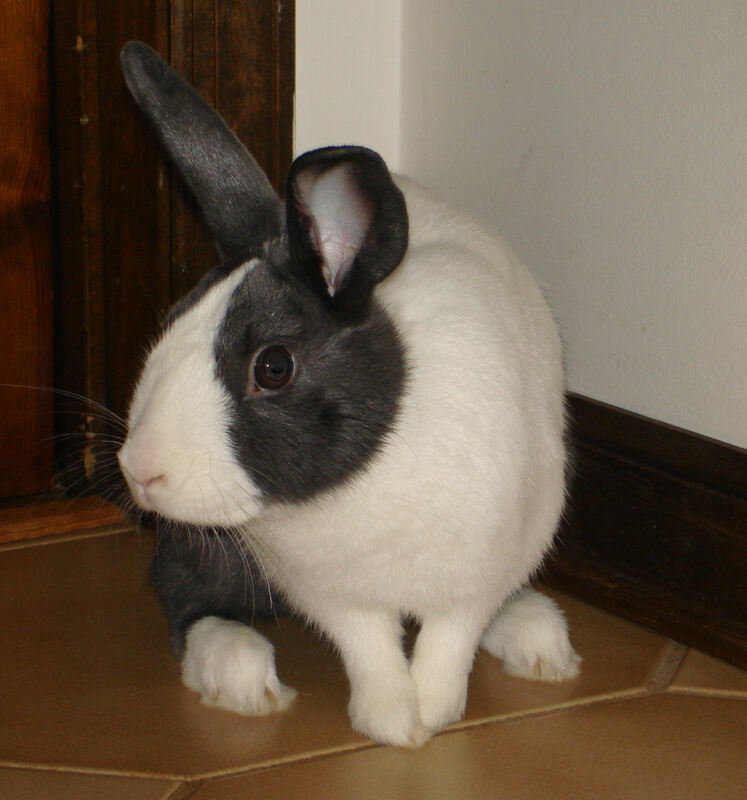 Mention New Jersey House Rabbit Society and receive $10 off your initial visit. Valid on pre-anesthetic visit only and not to be combined with any other offer. If you know of any veterinarians you think would like to participate in our program, please let us know and we'll reach out to them. Contact us at 732-641-0431 or by email. NJHRS subsidizes these surgeries—that portion which is higher than the public’s fee—with monies from our newly established Spay/Neuter is for Rabbits Too Fund. We anticipate filling this fund with grants from private foundations, our own fundraisers and well as the generosity of our members. If you would like help build this fund, please send a donation to NJHRS, PO Box 6430, Monroe Twp, NJ 08831. Mark Spay/Neuter is for Rabbits Too in the check’s memo.